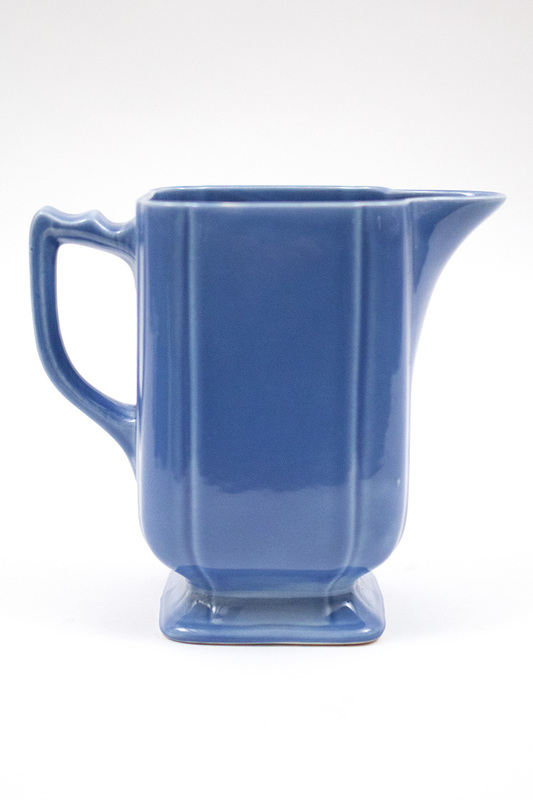 Circa 1936-1944: Unlike any other piece in the Riviera pottery line, the batter jug towers above all the other dinnerware and is a delight to add to the collection. 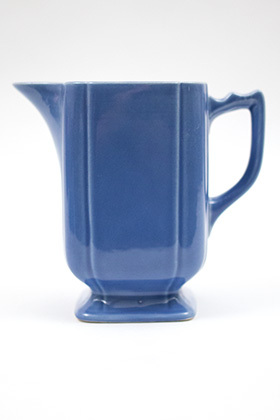 Found usually in the original Fiesta green glaze, rarely examples in ivory, red, yellow and mauve appear, but for some reason without lids. 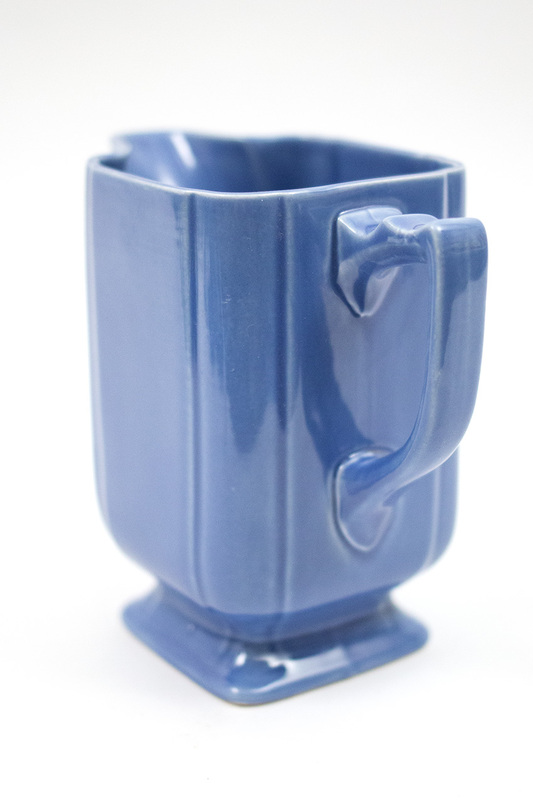 So few of these surface that it is easy to consider this a rare piece and advanced collectors will be excited to add this great shape to their collections in one of the hard to find colors. 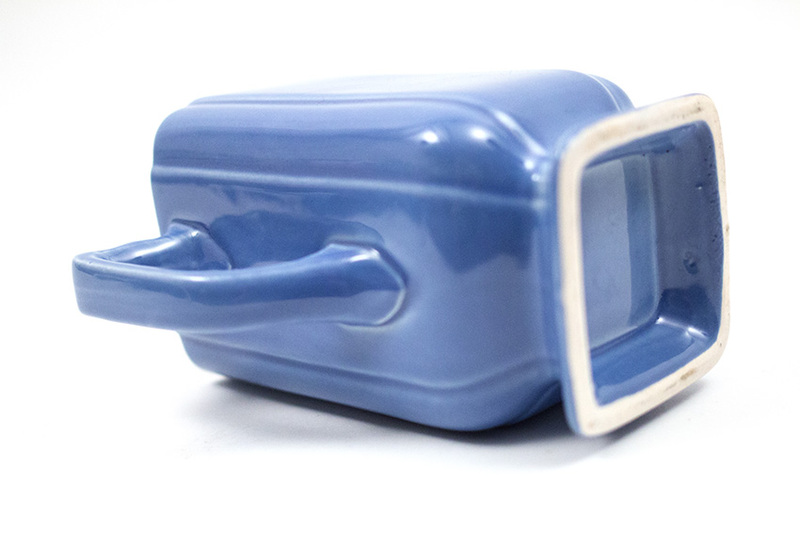 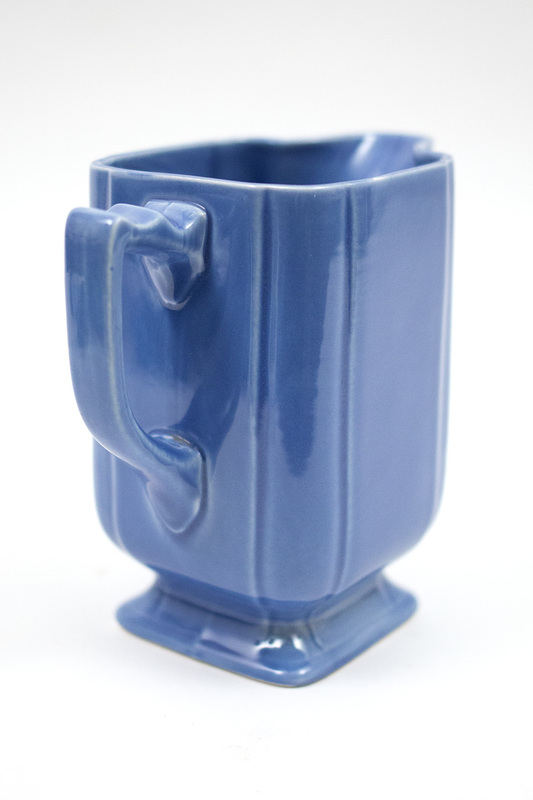 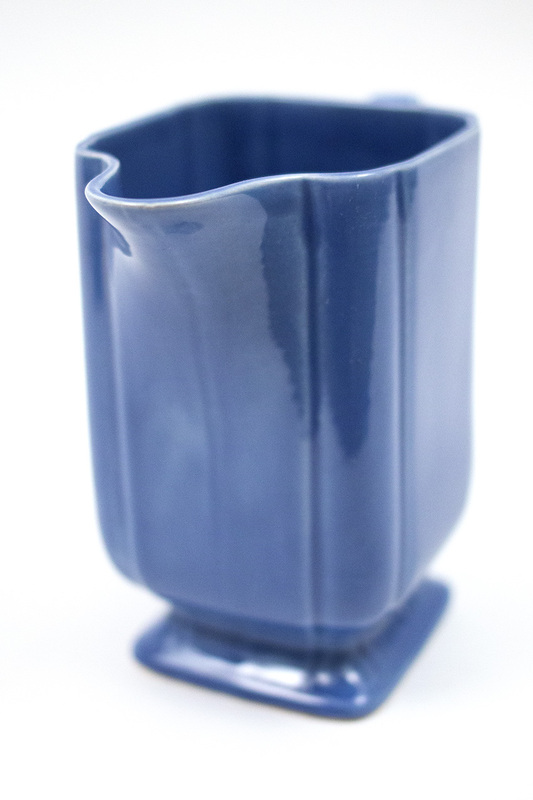 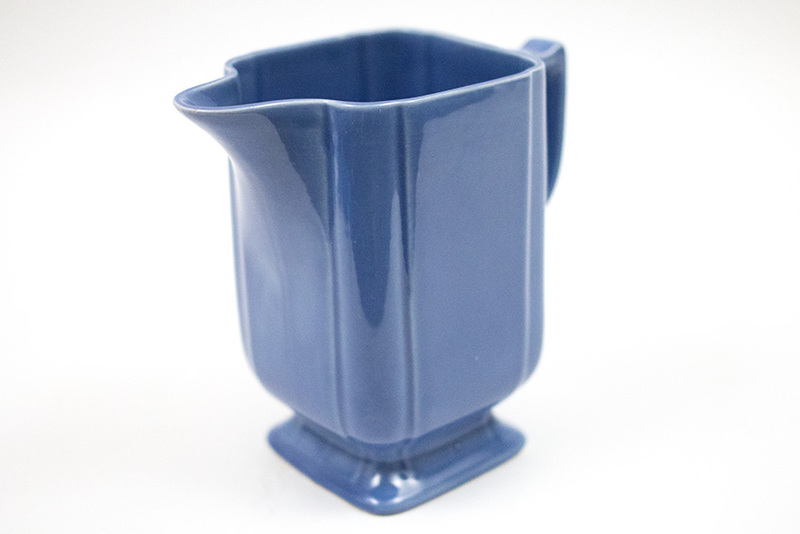 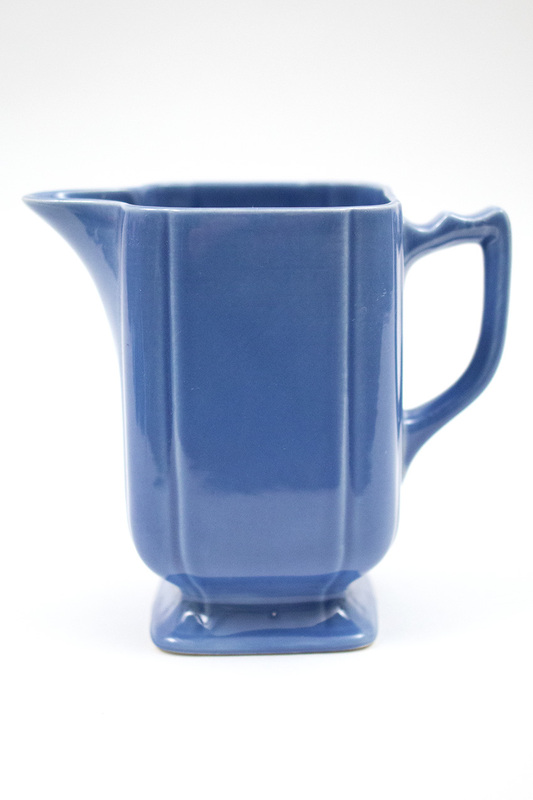 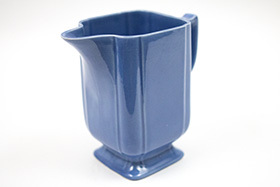 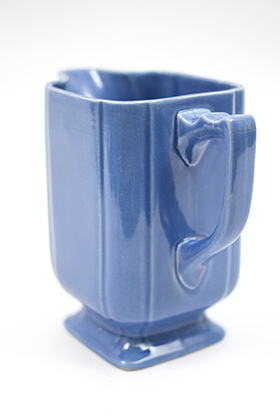 This example in the original mauve blue glaze is in excellent condition without chips, repairs or glaze issues.